Here’s a camera I really like, and like to shoot… whether in 6×9 or 6×6/6×4.5. Ironically, the best ones were made before WW II. They are fitted usually with Compur or Compur-Rapid shutters and usually carry Zeiss Tessars or Triotar lenses, both exceptionally good. Being a pre-1949 camera it also means that the lenses are uncoated, which is NOT a big concern, especially if you are shooting B&W. But even with color, I noticed no lack of brilliance or contrast… you gotta use a lens hood! 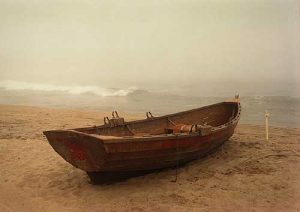 In fact, check out the boat picture below, by the Weltur 6×9 w/ Triotar lens. I enlarged this to 24×30 and hangs in our breakfast room. Really awesome results! 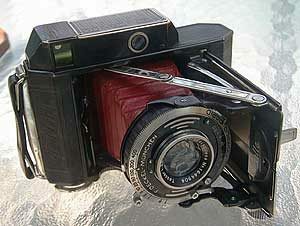 The Weltur cameras are unique in that they have an excellent coupled rangefinder which moves the whole lens assembly to focus, not just the front element. 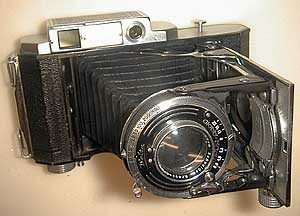 Everyone who has used this camera has praised its design and optics. 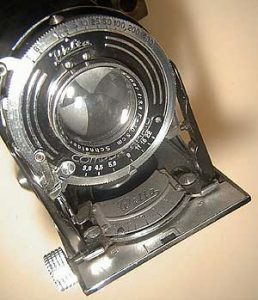 It is “pre-war German quality” – an easy match for Zeiss or anyone else. 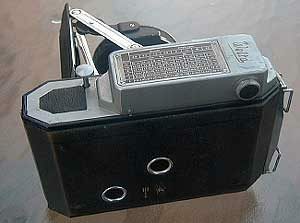 Unfortunately, the Welturs were not made after WW II and Welta quality was not quite the same as before.